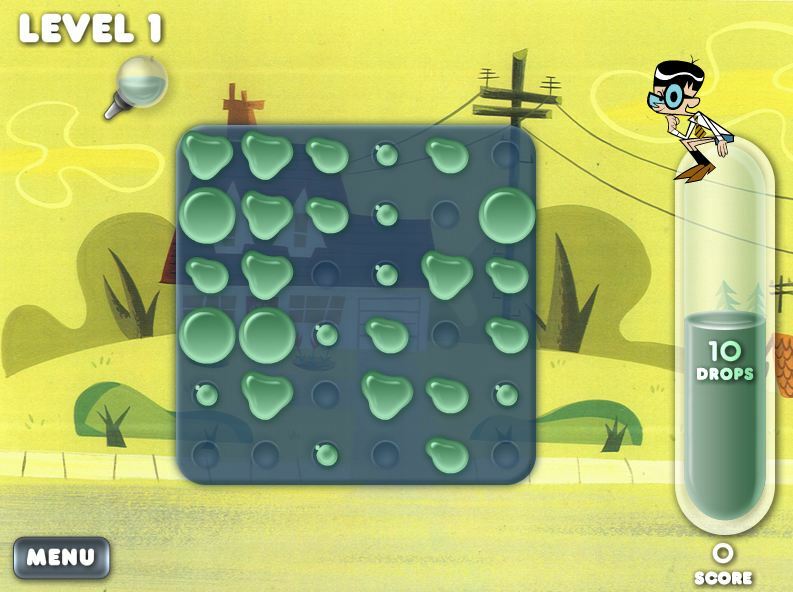 A few years ago, I worked on a downloadable game for Cartoon Network called “Dropple.” It’s a creative puzzle game that we built in Flash, and we were very proud of it. We put a lot of effort into polishing the gameplay, animations and particle effects. I suppose they decided to give it a longer life, because they recently updated the artwork and re-launched it for online play at cartoonnetwork.com. Go and play “Splashback.” It’s a lot of fun!